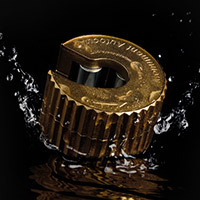 Monument Tools is an Innovative, UK based, Privately Owned company which Designs, Manufactures and Markets Professional Quality Tools for Plumbing, Roofing and Drainage under the Monument Brand and via OEM. The Monument Brand is 80 years old and the company which is still managed by the Collier family continues to invest in the latest technology. 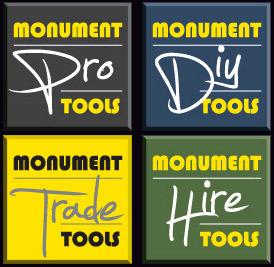 Printed Catalogues clearly identify products with product codes and work in conjunction with the Monument product data held at 4pipetools.com. Look for the Hero products in the catalogue. Professional Torch Hot turbine flame piezo ignition torch with interchangeable tips for soldering & brazing. 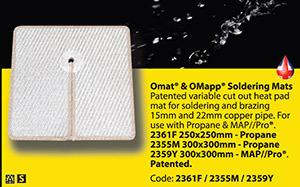 Use with Propane MAP/Pro® Mapp® gas. 3475Q with ST-3 Tip / 3476T with T-3 Tip / 3477W with P-3 Pencil Tip (CGA600 1in).